Why? Because the money is in the list. It’s cliché – but it’s a fact nonetheless. Here are a few quick tips you can use for your next marketing campaigns so you get more money out of these. What does this mean? Aren’t all lists the same? The truth is each list is different. One marketer could only have a few subscribers in his list but could still get more responses than someone with a bigger list. The difference: the quality of the list. So make it a goal to get quality subscribers – and don’t ever sacrifice it for quantity. Easy List Building Tip #2: Don’t buy millions of email addresses – rather build your list from scratch. You will see in the Internet, millions of email addresses sold for a price. Will it be a great idea to buy such? The chances are you may not be getting quality subscribers out of these lists. And worse, some of the owners of these email addresses may mark you as SPAM. It may be to your advantage if you just build your list from scratch. Easy List Building Tip#3: Create a compelling squeeze page. A squeeze page is a web form where you ask your visitors for their email addresses in exchange for a valuable report, ebook, audio, video etc. 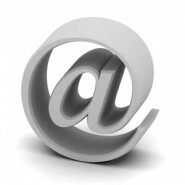 – anything your prospects will be interested in that they will be willing to give you their email addresses. Easy List Building Tip#4: Promote your squeeze page. This now the area of traffic generation. You can send traffic to your squeeze page by using any of the following techniques: a.) article marketing, b.) forum marketing, c.) social media marketing, d.) PPC or pay-per-click campaigns, e.) banner marketing… and many more. Easy List Building Tip#5: Build a relationship with your list. This is perhaps the most important thing not to screw up in email marketing. It is critical that you do not appear as somebody who is only there to sell them something. Sure, they know you’re in that “business” – but it is just right that you also offer them information that is valuable, interesting and useful. In this way, you are building a good relationship with them – so when you actually pitch them something, they’ll be more receptive to your offer.